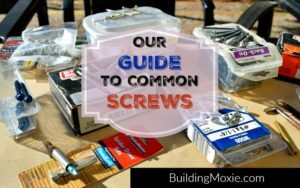 As I mentioned in the post Time to Get Your DIY On, Fall inevitably becomes a mad dance of DIY Projects. Maybe it is something about impending cold and/or the approaching holiday season, but it just is, and it seems so, year after year. 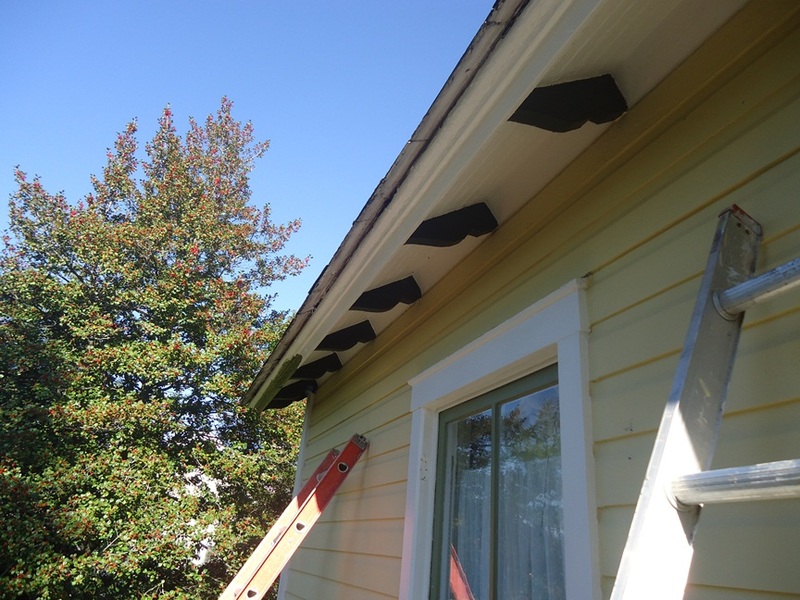 And anyways, as the gutters and downspouts are getting set to go on, finally, and as we are now up to about 85% of restoring all of the house’s wood siding, I had the opportunity to again work with some new products. While each helps accomplish a specific task, I am not sure if any warrant their own Fall DIY project post. I mean – my house is, well, a little unusual. And all work, at times, seems only to fit into some bigger, ongoing … thing. Like some Perpetual State of During. 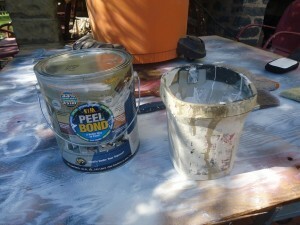 Recommended by friend Chris Haught, the Blogging Painter, Peel Bond is a clear “high build” primer and bonder. 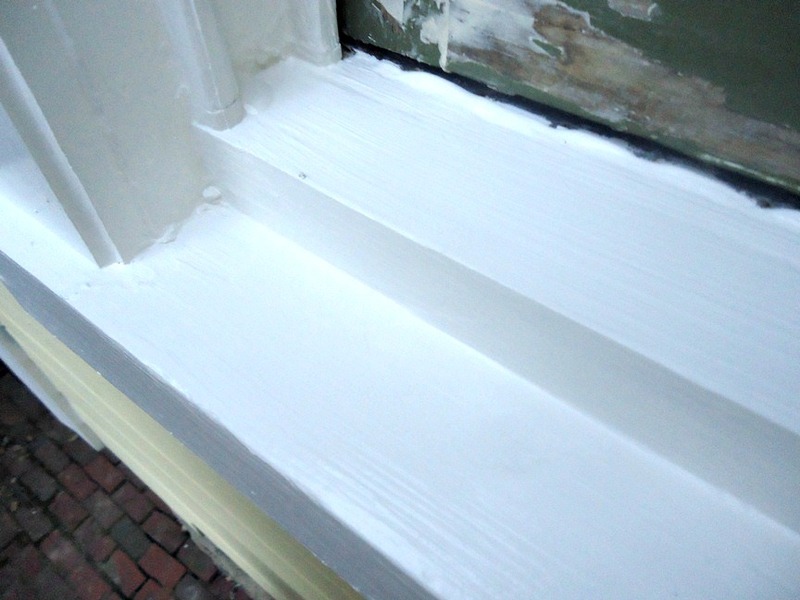 It was perfect for what I needed – a quick fix on the trim and paint behind the gutters that would soon be installed. While this product is clear straight from the container, I had the fine folks at Budekes tint it white for me. 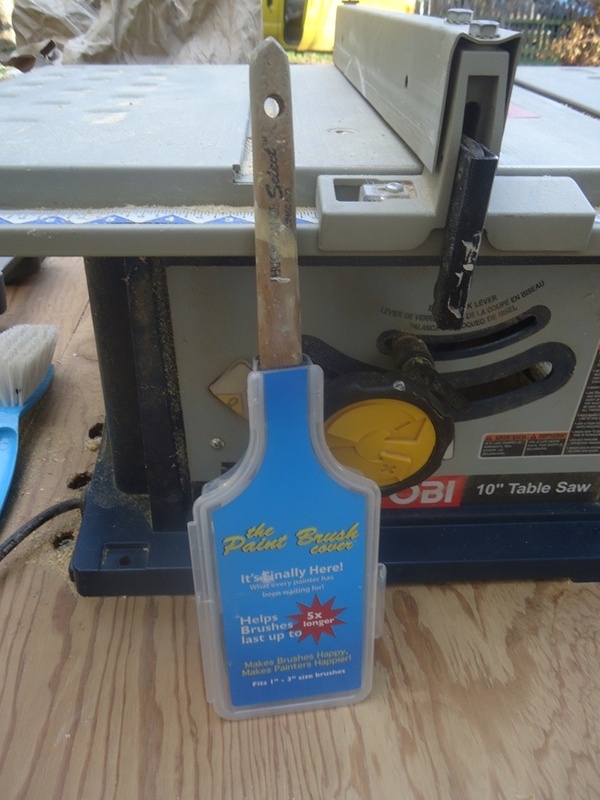 Spotted at each of the past two Remodeling Shows, and perhaps driven by friend Jason Whipple’s high regard for it, I finally broke down and purchased Abatron’s Wood Restoration Kit. 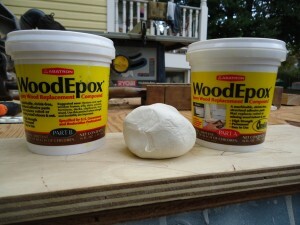 This kit includes parts A & B of their LiquidWood product as well as their WoodEpox product. Both are epoxies. 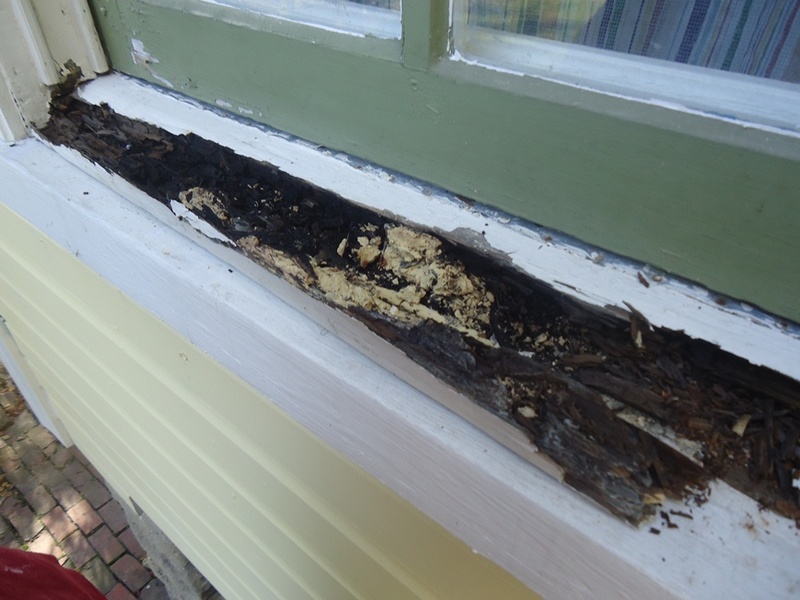 I decided to put them to use in rebuilding a rotted wood window sill. 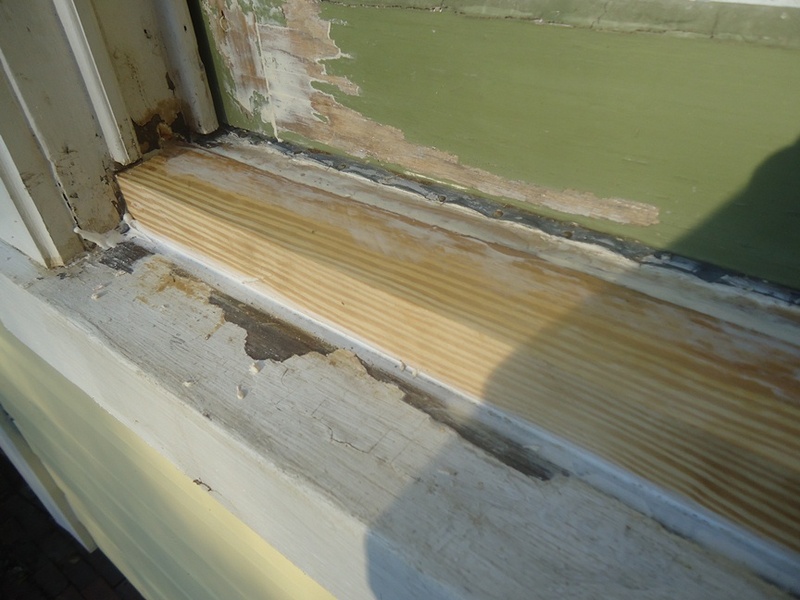 Instead of totally disassembling the window frame (as I have been known to do while restoring other wood windows), I decided instead to chisel out the bad wood and patch in a new piece of clear pine. 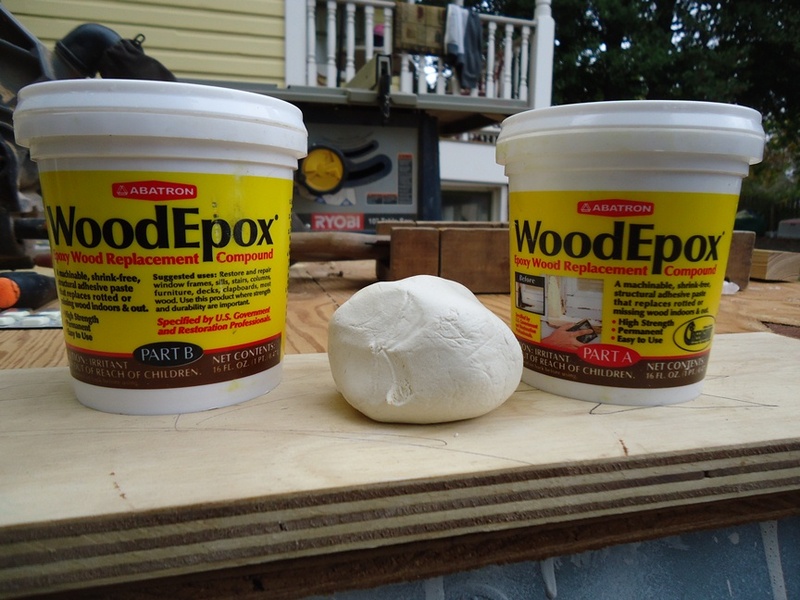 While the LiquidWood was not unlike other wood hardeners I have used, the WoodEpox was in fact a real delight to work with. If the thought of working with an epoxy intimidates, trust me – this one couldn’t be easier. By simply combining the two parts and kneading with gloved hands, it only takes about a minute before you have a nice “dough” to work with. While my wife is most definitely the painter in the family, I do on occasion break out a paint brush, and especially for these types of projects. Enter: the Paint Brush Cover. Since the manufacturer was gracious enough to ship me a few, I figured I’d give it a try. 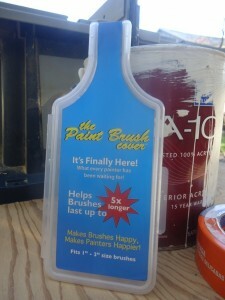 According to their site, the Paint Brush Cover is meant to solve 3 problems. 1) When you have to stop painting for any reason, you have to a) wash the brush or b) wrap it in saran wrap or c) put it in a plastic ziplock bag. 2) The cardboard cover that a paint brush comes in has a tendency to rip & 3) Paint brushes are very difficult to store without ruining the shape of the brush. 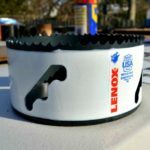 I used Peel Bond on my last three projects. I sealed an oak bookcase to fill the open grain prior to painting, sealed a fence gate panel, and sealed an old weathered porch floor (my sunburst balusters project). It won’t do miracles, but it is a very good product. that’s about what I came up with Brian… I really enjoyed using (if nothing other than it clung to the brush when I was working up high) and thanks for hopping on. for everyone else, you can see the sunburst baluster Brian mentions here >> http://www.buildingmoxie.com/2012/10/how-architectural-details-inform-our-work/. 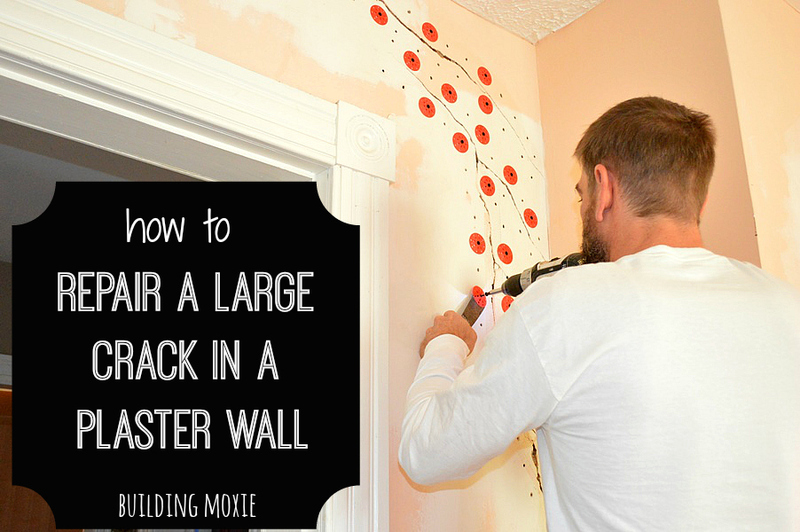 Oooh, I am liking that paint brush cover especially as hubster and I have a lot of construction and painting ahead. 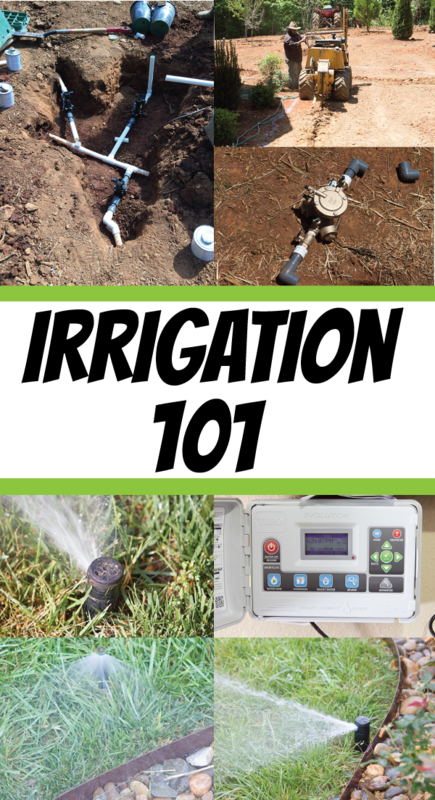 Good to know of new products especially when presented by a pro in the field to a non-pro like me. Good luck to your wife with her next renovation. I love renovating historic homes, but am not yet successful making a profit with that. ha! isn’t your hubster a builder? thanks Kym and cheers… happy … painting.